Printed artworks were often ephemeral, but in the early modern period, exchanges between print and other media were common, setting off chain reactions of images and objects that endured. Paintings, sculpture, decorative arts, musical or scientific instruments, and armor exerted their own influence on prints, while prints provided artists with paper veneers, templates, and sources of adaptable images. This interdisciplinary collection unites scholars from different fields of art history who elucidate the agency of prints on more traditionally valued media, and vice-versa. 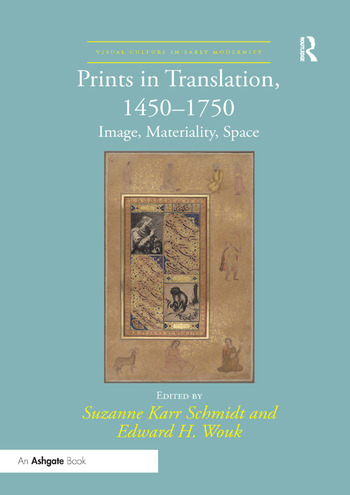 Contributors explore how, after translations across traditional geographic, temporal, and material boundaries, original 'meanings' may be lost, reconfigured, or subverted in surprising ways, whether a Netherlandish motif graces a cabinet in Italy or the print itself, colored or copied, is integrated into the calligraphic scheme of a Persian royal album. These intertwined relationships yield unexpected yet surprisingly prevalent modes of perception. Andrea Mantegna's 1470/1500 Battle of the Sea Gods, an engraving that emulates the properties of sculpted relief, was in fact reborn as relief sculpture, and fabrics based on print designs were reapplied to prints, returning color and tactility to the very objects from which the derived. Together, the essays in this volume witness a methodological shift in the study of print, from examining the printed image as an index of an absent invention in another medium - a painting, sculpture, or drawing - to considering its role as a generative, active agent driving modes of invention and perception far beyond the locus of its production. Suzanne Karr Schmidt is George Amos Poole III Curator of Rare Books and Manuscripts at the Newberry Library, Chicago, USA. Edward H. Wouk is Lecturer in European Art, 1400–1800, at The University of Manchester, UK. "It is a book which should be read by art historians in every field." "This most recent publication is a welcome addition in a continuing reassessment of the value of prints in early modernity. ...These writers’ contributions highlight the abundant opportunities awaiting print scholars—not only for those who examine the reception of European prints in Spain and its territories, as the contributors in this volume have done, but also works produced by Hispanic engravers and artists destined for internal or external markets. As such, this is an edifying collection that offers its readers an expanded perspective of prints in the early modern period."